Multi pack fire signs & labels - 150 x 300 mm fire exit man arrow down self adhesive vinyl labels 6 pack. Multi pack fire signs & labels - 150 x 300 mm fire exit man arrow right self adhesive vinyl labels 6 pack. Multi pack fire signs & labels - 150 x 300 mm fire exit man right self adhesive vinyl labels 6 pack. Multi pack fire signs & labels - 150 x 300 mm fire exit man arrow left self adhesive vinyl labels 6 pack. Multi pack fire signs & labels - 150 x 300 mm fire exit man arrow up self adhesive vinyl labels 6 pack. Multi pack fire signs & labels - 150 x 300 mm fire exit man left self adhesive vinyl labels 6 pack. Multi pack fire signs & labels - 150 x 300 mm fire exit man arrow down right self adhesive vinyl labels 6 pack. Multi pack fire signs & labels - 150 x 450 mm fire exit man arrow down right self adhesive vinyl labels 6 pack. Multi pack fire signs & labels - 150 x 450 mm fire exit man arrow left self adhesive vinyl labels 6 pack. Multi pack fire signs & labels - 150 x 450 mm fire exit man left self adhesive vinyl labels 6 pack. Multi pack fire signs & labels - 150 x 300 mm fire exit man right 1.2 mm rigid plastic signs 6 pack. Multi pack fire signs & labels - 150 x 300 mm fire exit man arrow up 1.2 mm rigid plastic signs 6 pack. Multi pack fire signs & labels - 150 x 300 mm fire exit man arrow down 1.2 mm rigid plastic signs 6 pack. Multi pack fire signs & labels - 150 x 300 mm fire exit man arrow down left 1.2 mm rigid plastic signs 6 pack. Multi pack fire signs & labels - 150 x 450 mm fire exit man arrow down self adhesive vinyl labels 6 pack. Multi pack fire signs & labels - 150 x 450 mm fire exit man arrow right self adhesive vinyl labels 6 pack. Multi pack fire signs & labels - 150 x 450 mm fire exit man right self adhesive vinyl labels 6 pack. Multi pack fire signs & labels - 150 x 450 mm fire exit man arrow up self adhesive vinyl labels 6 pack. Multi pack fire signs & labels - 150 x 300 mm fire exit man arrow down right 1.2 mm rigid plastic signs 6 pack. Multi pack fire signs & labels - 150 x 300 mm fire exit man arrow left 1.2 mm rigid plastic signs 6 pack. Multi pack fire signs & labels - 150 x 300 mm fire exit man left 1.2 mm rigid plastic signs 6 pack. Multi pack fire signs & labels - 150 x 300 mm fire exit man arrow up left 1.2 mm rigid plastic signs 6 pack. Multi pack fire signs & labels - 150 x 300 mm fire exit man arrow right 1.2 mm rigid plastic signs 6 pack. 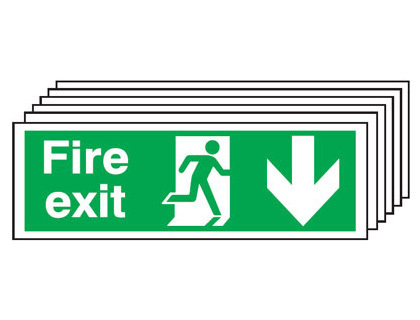 Multi pack fire signs & labels - 150 x 450 mm fire exit man left 1.2 mm rigid plastic signs 6 pack. Multi pack fire signs & labels - 150 x 450 mm fire exit man arrow down right 1.2 mm rigid plastic signs 6 pack. Multi pack fire signs & labels - 150 x 450 mm fire exit man arrow down 1.2 mm rigid plastic signs 6 pack. Multi pack fire signs & labels - 150 x 450 mm fire exit man arrow down left 1.2 mm rigid plastic signs 6 pack. Multi pack fire signs & labels - 150 x 450 mm fire exit man arrow right 1.2 mm rigid plastic signs 6 pack. Multi pack fire signs & labels - 150 x 450 mm fire exit man arrow up 1.2 mm rigid plastic signs 6 pack. Multi pack fire signs & labels - 150 x 450 mm fire exit man right 1.2 mm rigid plastic signs 6 pack. Multi pack fire signs & labels - 150 x 450 mm fire exit man arrow up left 1.2 mm rigid plastic signs 6 pack. Multi pack fire signs & labels - 150 x 450 mm fire exit man arrow left 1.2 mm rigid plastic signs 6 pack. Multi pack fire signs & labels - 300 x 600 mm fire exit man arrow down self adhesive vinyl labels 6 pack. Multi pack fire signs & labels - 300 x 600 mm fire exit man arrow right self adhesive vinyl labels 6 pack. Multi pack fire signs & labels - 300 x 600 mm fire exit man right self adhesive vinyl labels 6 pack. Multi pack fire signs & labels - 300 x 600 mm fire exit man arrow up self adhesive vinyl labels 6 pack. Multi pack fire signs & labels - 300 x 600 mm fire exit man arrow left self adhesive vinyl labels 6 pack. Multi pack fire signs & labels - 300 x 600 mm fire exit man arrow down right self adhesive vinyl labels 6 pack. Multi pack fire signs & labels - 300 x 600 mm fire exit man left self adhesive vinyl labels 6 pack. Multi pack fire signs & labels - 300 x 600 mm fire exit man arrow up 1.2 mm rigid plastic signs 6 pack. Multi pack fire signs & labels - 300 x 600 mm fire exit man arrow down left 1.2 mm rigid plastic signs 6 pack. Multi pack fire signs & labels - 300 x 600 mm fire exit man arrow down 1.2 mm rigid plastic signs 6 pack. Multi pack fire signs & labels - 300 x 600 mm fire exit man right 1.2 mm rigid plastic signs 6 pack. Multi pack fire signs & labels - 300 x 600 mm fire exit man arrow down right 1.2 mm rigid plastic signs 6 pack. Multi pack fire signs & labels - 300 x 600 mm fire exit man left 1.2 mm rigid plastic signs 6 pack. Multi pack fire signs & labels - 300 x 600 mm fire exit man arrow up left 1.2 mm rigid plastic signs 6 pack. Multi pack fire signs & labels - 300 x 600 mm fire exit man arrow right 1.2 mm rigid plastic signs 6 pack. Multi pack fire signs & labels - 300 x 600 mm fire exit man arrow up left 1.2 mm rigid plastic signs with self adhesive backing labels 6 pack. Multi pack fire signs & labels - 300 x 600 mm fire exit man arrow up 1.2 mm rigid plastic signs with self adhesive backing labels 6 pack. Multi pack fire signs & labels - 300 x 600 mm fire exit man arrow down left 1.2 mm rigid plastic signs with self adhesive backing labels 6 pack. Multi pack fire signs & labels - 300 x 600 mm fire exit man arrow down right 1.2 mm rigid plastic signs with self adhesive backing labels 6 pack. Multi pack fire signs & labels - 300 x 600 mm fire exit man arrow left 1.2 mm rigid plastic signs with self adhesive backing labels 6 pack. Multi pack fire signs & labels - 300 x 600 mm fire exit man left 1.2 mm rigid plastic signs with self adhesive backing labels 6 pack. Multi pack fire signs & labels - 300 x 600 mm fire exit man arrow right 1.2 mm rigid plastic signs with self adhesive backing labels 6 pack. Multi pack fire signs & labels - 300 x 600 mm fire exit man arrow down 1.2 mm rigid plastic signs with self adhesive backing labels 6 pack. Multi pack fire signs & labels - 300 x 600 mm fire exit man right 1.2 mm rigid plastic signs with self adhesive backing labels 6 pack.